In most car or truck accidents, injuries are visible and immediate. Blood from cuts and lacerations, loss of consciousness, broken bones, paralysis and disfigurement are all examples of injuries that no one can dispute were caused by the accident. However, there is a classification of accident injuries where the trauma is not immediately noticeable and where symptoms may not manifest for several hours, weeks or even months in some cases. 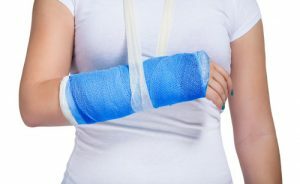 Delayed injury cases can cause medical and legal difficulties for claimants. If you hesitate or put off for days or weeks receiving medical attention or if you ignore symptoms that arise days or weeks after the accident, you risk developing a medical condition that is now worse and more difficult to treat than if you had received treatment earlier. If you file an injury claim, the responsible party or its insurer will view your injury allegations and damages with skepticism and asset lack of causation. 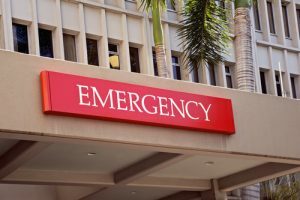 Consequently, it is critical that you seek medical attention whenever you are involved in a car accident and retain car accident lawyer rather than handling the claim on your own. By far, the most prevalent car accident injury is whiplash, which often occurs in a rear-end collision. On impact, your head and body are thrown backward and then violently forward, straining and tearing the tendons, muscles and ligaments in your neck and back. In some cases, the spine suffers trauma as well resulting in damaged vertebral disks. Many times you may only feel shaken up after the impact that you attribute to the shock. As a protective measure, your body produces endorphins and adrenaline following a traumatic event that can mask the injury. When you get home, your neck begins to ache, often times there is a headache. In a whiplash or soft tissue injury case, it is not unusual for your symptoms to not appear for either hours, days or even weeks. At the accident scene, you may be tempted to advise the investigating officer that you were not injured. If you are composed in such instances, simply tell the officer that you are not sure and do not refuse medical attention since you should be checked out in any case. Immediately seek medical attention if any of these symptoms appear since you may also have suffered a spinal injury or head injury that can have more serious health implications. If you sustained a concussion, you risk a post-traumatic seizure later in life, especially if you are older, or if you sustained hemorrhaging or bleeding in the brain. This is true for children too. In a number of cases, victims of car and truck accidents suffer emotional harm or Post-Traumatic Stress Disorder (PTSD). Symptoms of PTSD may not manifest for months following an accident. And some symptoms get worse over time. Although PTSD and its symptoms are recognized in the medical community, insurers and defense attorneys will often challenge you if you allege that you are now suffering from this condition. You will need a specific medical report or the testimony of your treating psychologist or psychiatrist to document and support your allegations in this regard. Depression, flashbacks, fear of driving, anxiety, nightmares and hallucinations are not uncommon in victims following a car accident that can be extremely traumatic, especially if someone was killed or suffered a catastrophic injury in the same accident. In accident claims where there are delayed injuries, you will need the services of an experienced car accident lawyer to represent you and to address the expected challenges from insurance companies representing the responsible party or parties. Mr. Burns will see that your health care providers specifically address these concerns in their records and reports. You may also have to delay settlement of your case so that your physicians can fully assess the nature and extent of your injuries and the reasonable possibility of future medical conditions and treatments. Call Boston car accident lawyers Neil Burns & Roshan Jain today if you have a delayed injury case to discuss your legal rights and the viability of your injury claim.